All starts when a photographer friend mentionned her difficulty to find an appropriate frame to her style and her way of life. 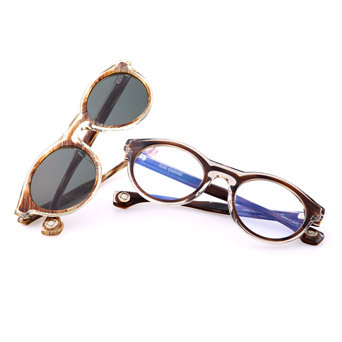 They were either too "cartoonish", "old-lady-like" or "boringly preppy", but she expresses interest in the prototype frame, both elegant and discreet, Blake wore that night. 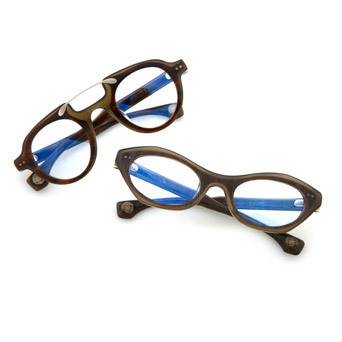 Situated between the art world and the business world, Blake Kuwahara was inspired by this request : to offer simple yet subtle eyewear. He embarrassed to say that the desire of this collection was guided by his sense of aesthetics and a certain selfishness. Indeed, satisfying his own design principles and fulfilling the wishes of a professional circle, very visual and creative, were the drivers of this project. The result is amazing ! Ingenious mix of shapes and colors, Blake Kuwahara eyewear, subtle and yet easily wearable, plays with our senses and our memories.